If you’re in Phoenix today, get on down to the Herberger Theater to see the final night of the Phoenix Improv Festival. PIF is a great improv fest and the Herberger Theater is an amazing facility. If you go tonight, you’ll be treated to LA’s Kind Strangers, Hawkins and Stroth, and Utah’s JoKyR and Jesster. Trophy Wife had the honor and pleasure of performing at PIF in years past. It was, indeed, a wicked good time. Thank you, Phoenix! We’re taking the next couple of weeks off from the podcast for the holidays. In the meantime, here’s a great animated short from Spanish director Rodrigo Blaas. Enjoy and have a happy. A photo from the 2009 Trophy Wife Calendar was recently used to illustrate an article in an online European political magazine. Because if there’s one thing Zabs, Mike, and I wanted to do with that photo, it was comment on collusion within the European Union. AM I RIGHT? 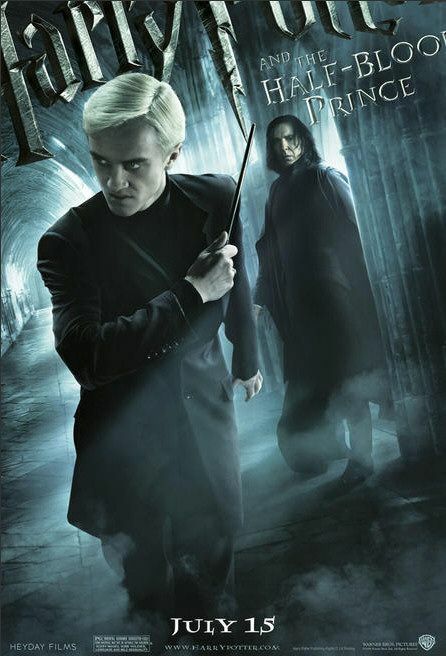 Congratulations to our own Kevin McShane who appears as Draco Malfoy in the upcoming summer blockbuster Harry Potter and the Half Blood Prince. The printer clearly started it.